With movies like Rock On 2 and Dear Zindagi, November is going to be a very exciting months for all the movie buffs who love watching Bollywood films. Year 2016 has been the year of number of blockbusters that ruled the box office. Thoughout the year, we witnessed #movies like Airlift, Neerja, Baghi, Udta Punjab, Sultan, MS Dhoni The Untold Story that were not only successful at Box office but even won our hearts. Meanwhile, the calendar page is about to roll, and we are about to enter November. With a new month, comes numbers of existing movies and we are here with the list of the most anticipated movies of Bollywood from the month of November. Well, the November month of this year will witness around 10 #Bollywood movies. The sequel of the 2007 blockbuster Rock On, this movie is a music drama movie, which is expected to be one of the biggest blockbusters of 2016. The movie features stars like Farhan Akhtar, Arjun Rampal, Purab Kohli, Shraddha Kapoor, Prachi Desai, Shashank Arora, Shahana Goswami. 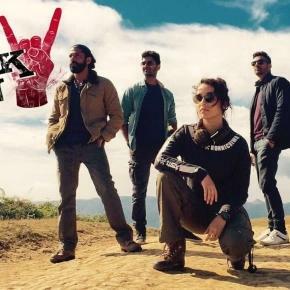 Rock On 2 is directed by the Sujaat Saudagar and is produced by the duo Farhan Akhtar and Riteish Sidhwani. The movie is based on the music, which is highly popular in Bollywood industry, so makers and experts are believing that it will do good business at the boxoffice. The movie will hit the theater on November 11th, 2016. Tum Bin 2 is another sequel which is releasing this month. It is sequel of 2001 released hit movie Tum Bin. With this movie a lot of expectations are there. This movie features Ashim Gulati, Neha Sharma and Aditya Seal in the lead role. Movie is a romantic love story with main roles revolving around three leads of the movie. Tum Bin 2 is directed by Anubhav Sinha and produced by Bhushan Kumar. Ankit Tiwari has given his music in this movie. The movie is set to release on November 11th, 2016. Abhinay Deol directed venture “Force 2” is no doubt one of the most awaited movies of not only this month, but of this year. This will be the action thriller movie. The movie is sequel of 2011 released movie Force and the second part will continue the action and thrill that was left in its first installment. Force 2 will be released on November 18th, 2016. The last but not the least, Dear Zindagi is going to be one of the biggest blockbusters of this movie since it is featuring the king of Bollywood, #shahrukh khan. The movie is directed by Gauri Shinde and produced by the trio of Karan Johar, Gauri Shindhe, Shahrukh Khan. The movie will witness Shahrukh Khan and Alia Bhatt in the main role along with Kunal Kapoor and Angad Bedi in supporting role. Dear Zindagi shows a sweet and unique chemistry between Alia Bhatt and Shahrukh Khan. The trailer of Dear Zindagi has created a buzz, and the makers have received a serious amount of response from the audience. Dear Zindagi will be hit cinema homes on 25th November 2016. Apart from these four movies there are other movies too that are scheduled to be launched in the month of November. 3 days to go, Radhika Apte has Rajinikanth’s Kabali on her mind, quite literally!